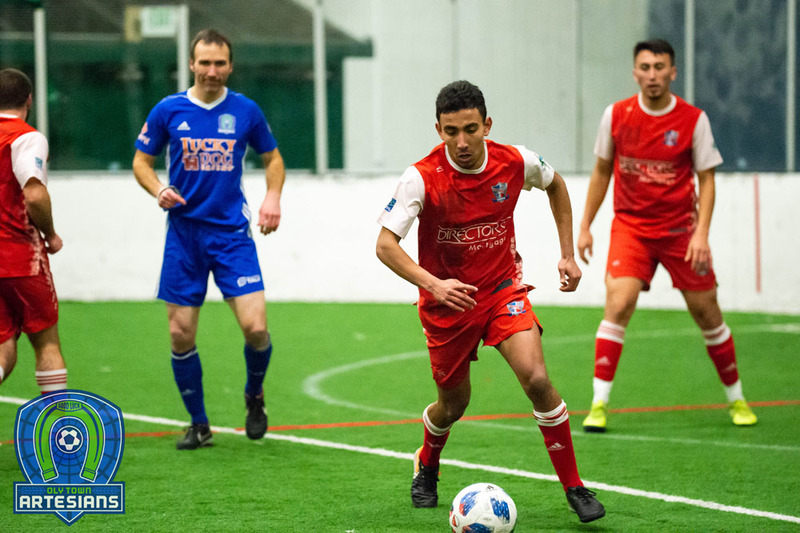 Everett, WA – Willie Spurr scored four goals and Kyle Wiese added another but the Oly Town Artesians ran out of gas and patience in the fourth quarter and fell 9-5 to Sporting Everett FC at the Everett Soccer Arena on Saturday night. After a late start to the game due to extremely heavy traffic on northbound I-5, Sporting Everett opened the scoring at the 9:45 mark of the first period on a goal by Mark Conrad. 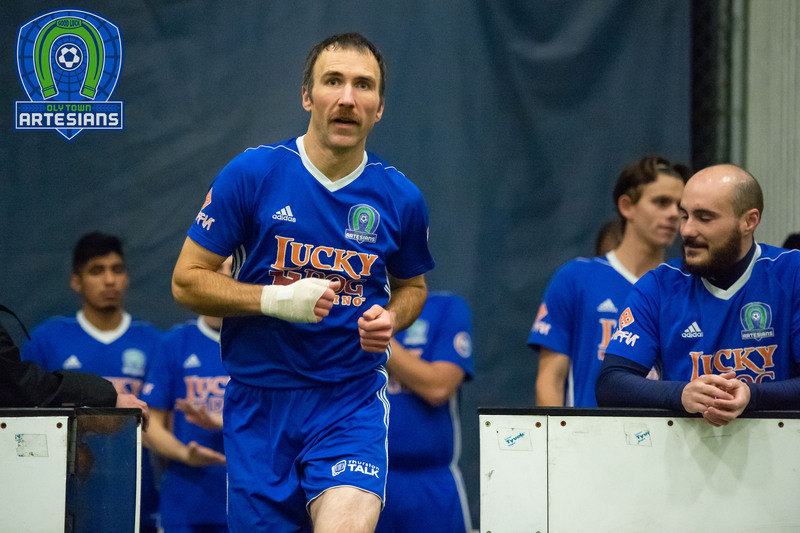 Three minutes later, James Postma was shown a blue card and the Artesians scored their first goal of the season on a powerplay strike by Willie Spurr. The first 15 minutes came to an end with the score tied at one apiece. Spurr put the Artesians ahead 2-1 a minute and a half into the second period but after a blue card to Greg Wolfe, Mitch Reinhart scored on the powerplay to tie the game at two. Spurr answered right back burying a rebound off of a shot by Keegan McMillan past Everett keeper Wesley Da Silva to put the Artesians up 3-2. It would be the last lead of the game for Oly Town and it did not last long. Eli Seye tied the game up at the 9:40 mark of the second quarter and the two teams played evenly until Conrad scored his second goal with 30 seconds left and the half ended with Everett ahead 4-3. Corey Hendrickson received a perfect pass from Danny Graham on the backpost of the goal and tipped it easily past Artesians keeper Evan Munn to give Sporting a 5-3 lead at the nine minute mark of the third quarter. But once again, it was Willie Spurr less than a minute later with a rocket of a shot that drew the Artesians to within a goal, 5-4. But with Oly Town frustration building from fouls accumulating, it was all Everett from then on. Reigning WISL Player-of-the-Week Lupe Rodriguez and Carlos Betancourt each scored down the stretch in the third to give Everett a 7-4 lead. Kyle Wiese got the Wallascora off a shot by Spurr to draw the Artesians to within two goals but a missed opportunity on a powerplay minutes later came back to haunt them when Conrad scored his third goal of the game. Sporting Everett finished out the period with another goal by Rodriguez and held on for a 9-5 win. They moved into sole possession of first place in the WISL at 2-0-0. 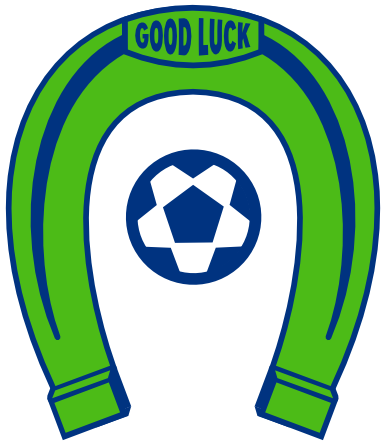 Oly Town fell to 0-1-0 after their first game of the season and will travel south to take on the Vancouver Victory next Saturday. 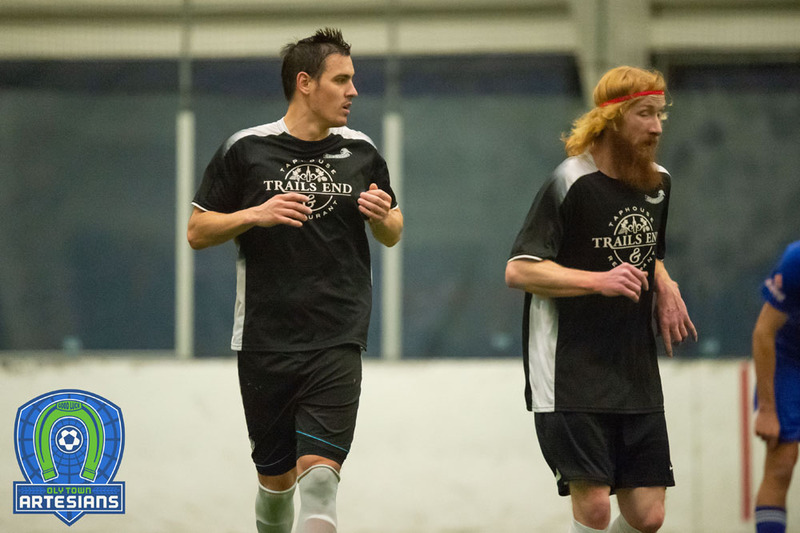 The Artesians open their home slate on December 19th when they will welcome the Tacoma Stars Reserves to The Pavilion at The Evergreen State College. First kick is schedule for 6:00 PM. Season tickets are available now by visiting www.olytownfc.com.